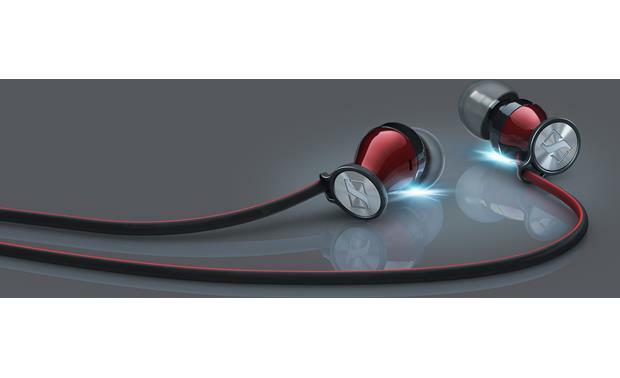 If you own a smartphone or portable music player, you should own a pair of in-ear headphones to take everywhere — you never know when you might need an injection of music. And no, I'm not talking about the earbuds that came with your device. 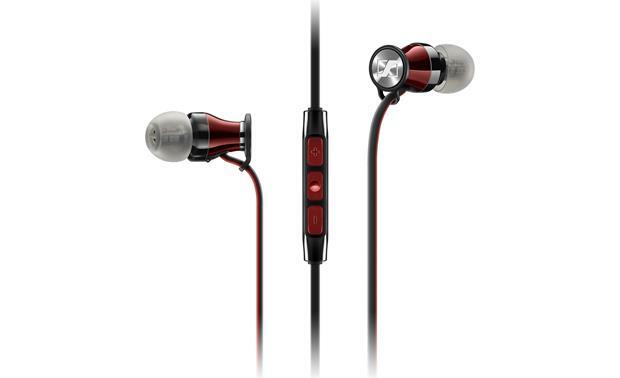 I'm talking about something affordable but great-sounding, like the Sennheiser Momentum In-Ear headphones. They offer sound that's lively, detailed, and nicely balanced. Includes carrying case and Android™ remote (pictured in Black & Red). 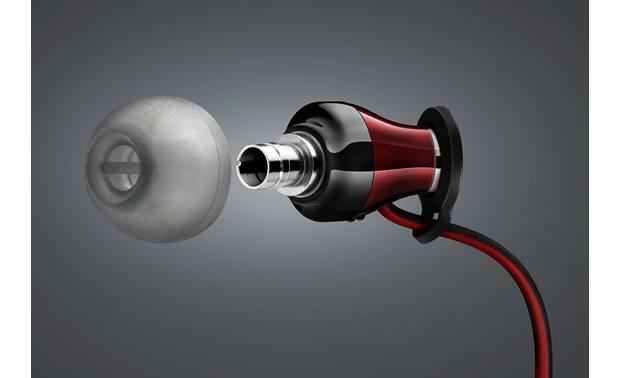 The stainless steel, precision-made acoustic "pipes" are properly angled to direct sound into your ear canal. Soft, flexible ear tips cover the pipes — choose from four pairs of tips to find the right fit to keep them securely in place and help keep external sound out. These stylish little 'phones are quite cool looking, too. 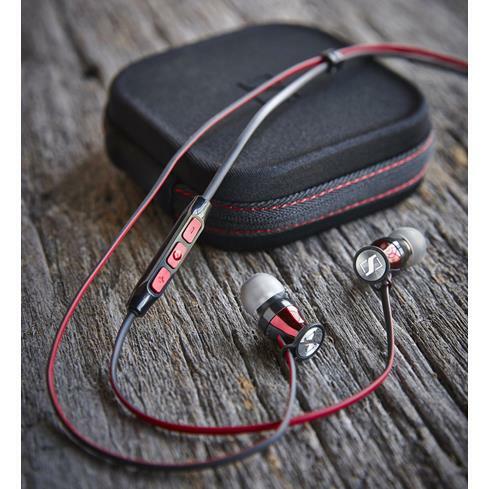 They come with a hard-shell carrying case, for extra protection when they're not in your ears. Connect the Momentum In-Ear headphones to your Samsung Galaxy smartphone or tablet, and you can take advantage of the three-button remote's full functionality. Play and pause music, skip forward and back, and adjust the volume. The built-in microphone also lets you take calls with your Galaxy smartphone, easily controlled with the remote. Fantastic, non-fatiguing sound. You have to get them in right to get the bass. It can transmit sound through the cord but in the instances where that is an issue I spin them and run the cord up over my ear and it stops. Earcup Width x Height 0.474" x 0.474"
Overview: The Sennheiser HD 1 in-ear G headphones are lightweight and comfortable, with durable metal construction. The custom-machined stainless steel acoustic pipe gives you high-performance audio reproduction with rich, detailed sound. 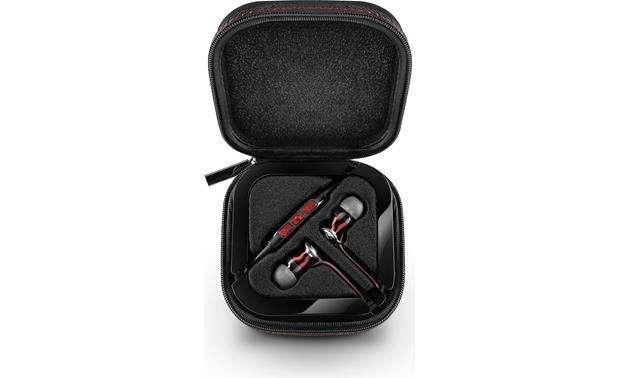 The HD 1 in-ear G comes with a semi-hard zippered storage case. These headphones have an in-line remote/microphone that is compatible with select Samsung Galaxy devices. Design: The HD 1 in-ear G headphones are equipped with high-performance dynamic drivers, housed in an ergonomic ear bud that is angled at 15°. The impedance is lowered to 18 ohms so it will play portable devices at high volumes without overdriving the device's tiny amp. Ear Adapters: The HD 1 in-ear G headphones come with four sizes of silicone ear sleeves to assure you'll find the perfect fit. Remote/Microphone: The HD 1 in-ear G headphones are equipped with an elliptical 54" audio cable with right-angled 3.5mm plug and an in-line remote/microphone. The remote lets you control your Samsung Galaxy smart devices. The outer buttons control volume up and volume down. The center button controls music playback (play, pause, play next song, play previous song) and phone functions (accept call, end call, reject call, voice control). 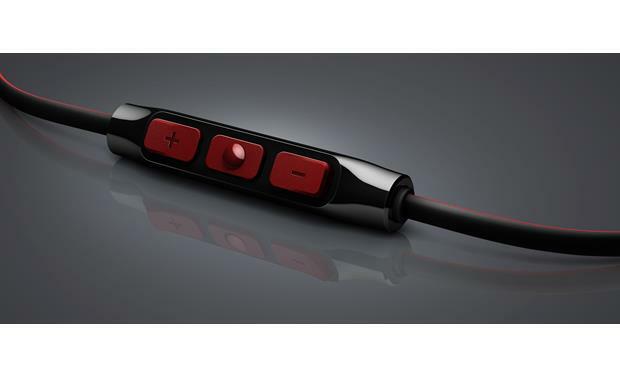 In addition, the remote has a built-in omni-directional microphone (frequency response 100-10,000 Hz).